Escuela Cultura de Paz was created in the year 2000 as a civil movement for the conflicts prevention and mediation, mainly in the classrooms, as the axis of its work. This commitment with young people has taken the awareness to the entire educational community and the neighbourhoods where the work centres are located. Made up of active and retired teachers, it has followed and lived the UNESCO Decade of Peace (2001-2010) with the involvement of thousands of young people in the work for peace, human rights, tolerance, respect and democracy. In 2008, it took part in the Congress of Deputies of Spain with four hundred young people, presenting proposals for the work with young people improvement related with education and the value of peace and democracy. In 2011, it intervened in the European Parliament with one hundred and fifty young people, presenting the conclusions of the Decade of Peace and some proposals for the next Decade. In 2012, it took part in the United Nations (New York) and Washington, with fifty young people, presenting the conclusions of the Decade of Peace to the UN Secretary General and international level proposals for the youth. Since 2011 Escuela Cultura de Paz has focused its efforts on exclusive work with and towards youth. Mostly, in education in the values of sports, music and volunteering. Mrs. Trinidad Lorenzo Gómez. Graduated in Biology. Master’s Degree from the University of Barcelona in Culture of Peace and Social Coexistence. Expert Title in Youth Information and Citizen Services, from the University of Salamanca. Mr. Santiago Agüero Muñoz. Graduated in Philosophy. Master’s Degree from the University of Barcelona in Culture of Peace and Social Coexistence. Expert Title in Youth Information and Citizen Services, from the University of Salamanca. Teacher at the International University of Valencia. Mr. Carlos Tarín Alcalá. Graduated in Geography and History. Secondary school teacher. Seville. Mrs. Patricia Caracuel Barbecho. Graduated in English Philology. Secondary school teacher. Seville. Mr. Juan Antonio Rodríguez Tous. PhD in Philosophy. Teacher at the University of Seville. Mrs. Miriam Agüero Lorenzo. Marketing and Journalism student. University of Queensland. Australia. Mr. David Agüero Lorenzo. Veterinary student. Complutense University. Madrid. Ms. Mª Dolores Espejo Alarcón. Graduated in English Philology. Director of the IES Salvador Távora. José Miguel Díaz Moreno. Graduated in Medicine. Traumatologist. Ms. Rocío Díaz Moreno. Graduated in Medicine. Dermatology. Cándido Muñoz Muñoz. Graduated in Medicine. Specialist in Internal Medicine with special interest in high risk pregnancy. Virginia Onieva Cano. Social integrator. Manoli Sánchez Rodríguez. University student. Francisco José Chacón Mesa. University student. Manuel García Fraile. University student. Patricia Gelo Díaz. Social integrator. Francisco J. Barcia Alguacil. Social integrator. Francisco Barbosa López. University student. Ana Muñoz Muñoz. Social integrator. 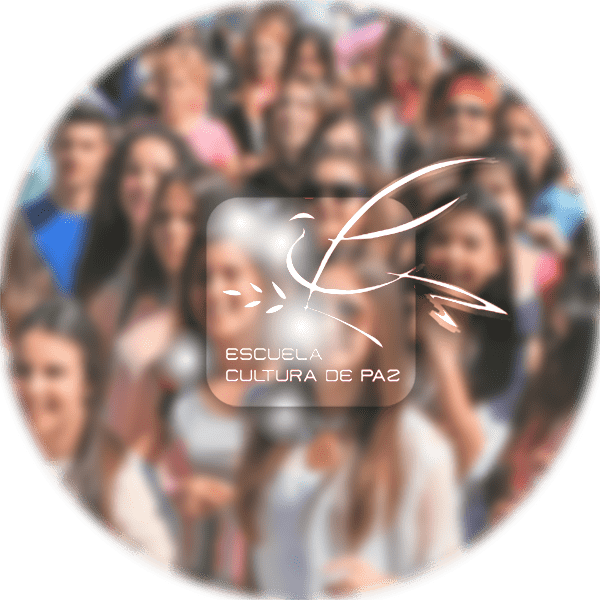 Escuela Cultura de Paz Association works with hundreds of secondary schools throughout the Andalusian Community, with special dedication in the province of Seville. 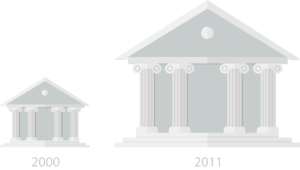 Since 2011, the movement work has been extended to the University of Seville, with a gradual increase of the students and university teaching staff participation. extended to the University of Seville, with a gradual increase of the students and university teaching staff participation. Speakers in ‘’Code Youth’’ Workshops of the Instituto Andaluz de la Juventud. Members of the International Institute DEMOSPAZ of the Universidad Autónoma de Madrid, since 2016. Andalucía Joven Award in 2015 in the solidarity or social action modality. The only Spanish education and volunteering project that has intervened in the UN for having followed the Decade of Peace. The only Spanish volunteering project that has intervened in the European Parliament for its 10 years trajectory with thousands of young people. National Volunteering Award, Honorary Mention, 2012. Participants in the 1st International Volunteering Summit, organized by the US Embassy in Spain, March 28-30, 2012, Madrid. Members of the Honour Committee of the 2010 World Congress for Peace and the World Education Meeting in Santiago de Compostela. Presidents of the CONSULTATIVE HONOUR COUNCIL of ‘’100 Cities for Peace’’ in EDUCATION for PEACE in part that represented Spain. Volunteering Award 2011 granted by the Consejería de Presidencia of the Junta de Andalucía. Volunteering Award 2010 granted by the Volunteer Agency, Delegación del Gobierno of the Junta de Andalucía. Candidates for the II Rey de España Award for Human Rights for their social work. Young Award for Solidarity 2007, granted by the Instituto Andaluz de la Juventud and the Department of Equality and Social Welfare, for its work with youth, especially with less-favoured people in the city. It has followed the Decade of Peace of the UN with its project ‘’School, promoter of a culture of peace’’, represented throughout the Andalusian Community, other communities and even Tangier (more than 20 thousand students, 2 thousand teachers and parents associations of more than 100 secondary schools have participated in its activities). The VIII sessions of the mentioned project, 2008, held in the Congress of Deputies. Joint work with UBUNTU: World Forum of Civil Society Networks. Speakers at the World Peace Congress, Santiago de Compostela (2005), with an international diffusion. The General Secretary of the UN makes mention to its work in favour of PEACE in the speech in the UN assembly in 2005. There’s an agreement signed with ‘’Educator Cities00, based in Argentina, and the Rosario National University has invited them to teach a course on Peace to university students there. Participantes en el I Encuentro de Arte – Fútbol en la ciudad rusa de Sochi como apoyo a una asociación que investiga enfermedades graves en los niños. Candidates for the Ascensión por la Paz Award granted by the Jiménez Becerril Foundation of Seville. Paulo Freire School is already working together in some cities in Brazil, as Sao Paulo and Maringá. Participants in the 1st Art-Football Meeting in the city of Sochi, Russia, in support of an association that investigates serious diseases in children.